Tegra NOTE 7 the newest member of NVIDIA mobile devices, the World’s Fastest 7-inch Android Tablet and integrated with LTE mobile connectivity. 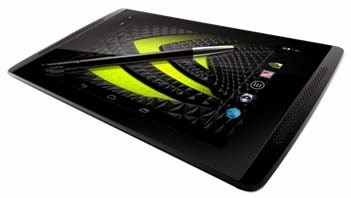 Tegra NOTE 7 (WiFi Only)serves up a bundle of cutting-edge mobile technologies – including one of the world’s fastest processors, Tegra 4, a superb stylus, exceptional audio, Android 4.4.2 (KitKat), and, of course, great NVIDIA gaming. And that’s at a starting price of just $199. Tegra NOTE 7 is available with LTE and HSPA+ mobile connectivity, and it can operate on popular carriers across the world. With cellular connectivity, consumers can now get access to the web, check out maps and play videos anywhere they go by purchasing a minimum data plan from many carriers. The Tegra NOTE 7 LTE’s worldwide connectivity is provided by our cellular LTE modem chipset (same LTE modem chipset in Wiko Tegra 4i LTE Smartphone), the fifth-gen NVIDIA i500 processor. The NVIDIA i500 processor leverages a unique software-defined radio technology – meaning it can deliver new capabilities via software without requiring an entirely new chipset. Another big plus is higher efficiency – it’s only 40 percent the size of conventional modems but has 4x the processing capability of its predecessor. The entire Tegra NOTE 7 family also received an over-the-air update that upgraded the operating system to Android 4.4.2 (Kit Kat), which includes support for Gamepad Mapper (introduced first in NVIDIA SHIELD portable gaming console). * 3G connectivity offered in regions with no LTE. Tegra NOTE 7 LTE starting at $299 from partners worldwide in Q2, 2014. *Disclosure: An important note, we are just sharing this information to the public, provided by our source (Image Media Phils). 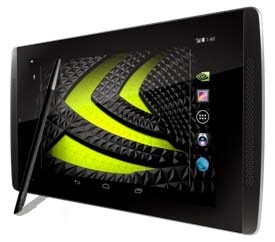 NVIDIA, Tegra NOTE 7 Android Tablet - Info / Logos / Photos / Images have respective copyrights. 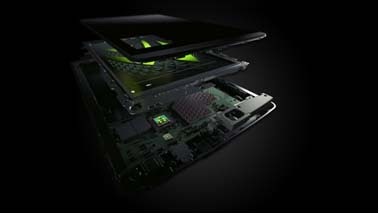 NVIDIA tablet with LTE, is a solid rock graphics and for gamers like me! hahaha! nexus 7 versus this one? which is best? it would be the nexus 7 II, will be the best bet. due to its specs. we can never tell until both put into test right? Hey i like the nvidia more, it is good for gaming..
Hi, I just want to inquire if this gadget is already available in the Philippines. If yes, where could I possibly find it. If not, is there any news whether it will be? Thanks! no news yet bro im still following this thread kung kailan labas sa pinas ng tegra note 7. as you know pinagaaralan pa ng marketing nila if feasible pa mag-market ng tablet satin. dami na kasi local tabs dito na mura na oks na yung specs. Thanks for replying! I agree, sobrang dami na ngang tablets na available, pero parang kulang pa rin. Any tablet na marerecommend mo? PS I'm not a bro, haha.